The first step is assessment of the patient’s airway, breathing and circulation. The patient’s airway need to be open. Remove any oral secretion or foreign if the airway is obstructed. The patient should be in a semi prone position. Oropharyngeal airway is also useful in case of opening the airway. The patient’s breathing need to be assessed. Patient who suffer from loss of consciousness may also present with loss of breathing. Some of the substance/agent may induce an impairment of the respiration and loss of consciousness. In this case. the patient may need to be intubate and ventilated. The patient’s circulation need to be checked. Focus on the patient blood pressure and degree of dehydration ( vomiting, diarrhea and sweating). Certain agent such as overdose of barbiturates may lead to hypotension. ECG monitoring is also vital in this patient and iv lines need to be established to administer fluid ( fluid resuscitation) /volume expanders. Blood sugar level is an important parameter need to be monitored. Hypoglycemia may present in comatose patient related to substance overdose. Remove any contaminated clothes and use soaps and water to clean the area of the skin that is expose to the topical poison. Patient may develop convulsions. Diazepam is useful to control convulsions. Gastric lavage is useful to remove the ingested poison/stomach wash.Gastric lavage may remove 40%- 60% of ingested material. However , gastric lavage cannot be used in case of ingestion of corrosive material or any volatile hydrocarbons. The airway also need to be protected before attempting the gastric lavage. The time lapse prior to treatment also should be less than 4 hours due to gastric emptying effect. Gastric lavage involve the use of orogastric tube ( NOT NASO GASTRIC TUBE). The sizes of the orogastric tube is around 16 - 28 F in children and around 32- 40 F in adult. It is important to identify the toxic substance as it will prevent further deterioration and toxicity of the patient. It is also saving the time as there are antidotes for a few of the poisons such as iron, methanol, paracetamol and arsenic ( e.g iv naloxone is a useful antidote for opioid poisoning. It is important to bring the container of the substance also. Paracetamol, theophylline, digoxin, lithium and salicylate are poisons which the quantity of intake is important in planning the treatment. Lithium poisoning is characterized by symptoms and signs such as nausea, vomiting, diarrhea, restlessness, renal dysfunction, tremor, ataxia, apathy, dysarthria, confusion, coma, convulsion and fasciculation as well as electrolytes imbalance. The common causes of lithium overdose is associated with renal dysfunction which lead to decrease in excretion of the drug or due to excessive chronic therapy or severe cases of dehydration which accompany by the symptoms of nausea, vomiting and diarrhea. Drug such as thiazide diuretic may also cause lithium poisoning due to its dehydration effect. The aim of the management is to maintain lithium at its therapeutic level/concentration which is 0.4- 1.2 mmol/l. The initial step after stabilize the patient is to consider gastric lavage. Activated charcoal is not beneficial in this case. Blood is taken and further studies of the lithium level and electrolytes level are performed. Hemodialysis is required if the lithium concentration in excess of 2.5 - 3.0 mmol/l. Hydration status is monitored. The phenothiazines overdose is commonly present with symptoms and signs such as restlessness, hypotension, extra pyramidal signs ( dyskinesia, hyperreflexia, tremor and rigidity), cardiac arrhythmias, convulsions and loss of consciousness. Besides that phenothiazines is also associated with neuroleptic malignant syndrome that present with symptoms and signs such as hyperthermia, rigidity altered mental status and abnormal movement. Phenothiazines are useful as anti emetic agent as well as anti depression and anti psychotic drugs. Initially the patient need to be stabilized in term of airway, breathing and circulation. Iv lines need to be established and ECG is used to monitor the cardiac rhythm. Patient if impossible should bring the container for phenothiazines. IV fluid is required to correct any hypotension ( fluid resuscitation). Gastric lavage should be performed. It can be performed several hours latter /more than 4 hours due to the facts that phenothiazines is an inhibitor for gastric emptying. Every 2- 4 hours, consider administration of activated charcoal orally. IV diazepam and rapid cooling are essential in treating neuroleptic malignant syndrome as it will reduce the risk of seizures and cerebral irritation. Oral diphenhydramine ( syrup Benadryl) is useful for treating acute dystonic reaction and should be continued until the patient remain asymptomatic. Methanol poisoning may be detected by arterial blood gases ( high anion metabolic acidosis ) or by serum concentration of methanol measurement. Methanol poisoning may be characterized by metabolic acidosis which is brought by oxidizing of the methanol to produce formaldehyde and formic acid. 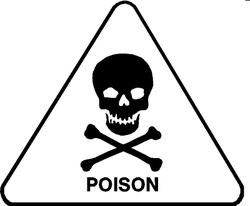 Methanol poisoning may also lead to cardiac arrest, neurological deficit, ataxia, cyanosis, seizures, coma, profound hypotension, shallow respiration, confusion, headache and drowsiness. The formic acid as described earlier may accumulate at the intra retinal and causing visual disturbance which may lead to permanent blindness. If optic neuritis develop, hemodialysis can be used to treat this condition. Initially the patient need to be stabilized in term of airway, breathing and circulation. Established the iv lines and monitor the patient’s vital sign which include ECG monitoring. The serum pH need to be corrected with sodium bicarbonate. Hemodialysis is considered if metabolic acidosis is not corrected with bicarbonate. Ethyl alcohol is considered. The dose need to be higher in alcoholics. An alternative include oral ethanol. Fomepizole/ antizol is administered as slow intravenous infusion. Fomepizole should not be used with ethanol. Fomepizole turn out to be an antidote for methanol poisoning and ethylene glycol poisoning. The formic acid may be converted to carbon dioxide by the action of folic acid which acts as a co factor. Therefore formic acid is used to enhance the elimination of the methanol. Theophylline overdose is presented with symptoms and signs such as hypokalemia, abdominal pain, convulsions, tachyarrhythmia, agitation, gastrointestinal hemorrhage, restlessness, nausea, dilated pupil and vomiting. Initially the patient need to be stabilized in term of airway, breathing and circulation. Establish iv lines, and monitor the patient vital signs include the cardiac monitoring to detect for any cardiac arrhythmias. The patient hydration status is assessed. IV fluid may be considered as fluid resuscitation. Blood collected and measure the theophylline concentration value. The therapeutic theophylline range is around 10 - 20 microgram per ml /55 - 100 micromol per liter. Beta blocker/lidocaine/calcium channel blockers( verapamil or diltiazem) are useful in treating arrhythmia. Electrolytes monitoring is important. Gastric lavage or multiple dose of oral activated charcoal may be considered. Diazepam is considered if the patient developed convulsions. Benzodiazepines overdose is presented with symptoms and signs such as respiratory depression, loss of consciousness, dysarthria and ataxia. Initially the patient need to be stabilized in term of airway, breathing and circulation. Establish iv lines, and monitor the patient vital signs. Remember to check the gag reflex of the patient. Intubation is needed if no gag reflex. Gastric lavage is continued. Oral activated charcoal is given. Flumazenil is considered as an antidote. However, flumazenil is avoided in case of tricyclic antidepressant overdose, alcoholism, impaired liver function, risk of seizures and psychiatric illness. Flumazenil is considered in patient who present with deep coma and respiratory depression. Benzodiazepines that is ingested with CNS depressant and alcohol may present with high toxicity.